How to disable the “Get Windows 10” icon shown in the notification area (tray)? So how do I disable or remove the "Get Windows 10" icon? If you just want to remove the tray icon until the next restart you can terminate the GWX.exe process using Task Manager. To get rid of the icon permanently, uninstall KB3035583 which is responsible for these notifications: Control panel, windows update, installed updates, sort by name, "Update for Microsoft Windows KB3035583" (not a Security Update), uninstall, reboot. When you're offered the same again via Windows Update remember to hide it. After uninstalling, if remnants of the update's files are still in Windows\System32\GWX, just delete that directory, although first you may need to take ownership of it. Disable the items that don't give an access denied message. According to TechJourney, you can make a small registry change to prevent the application starting. Run regedit.exe as an administrator. Create a key named Gwx within HKEY_LOCAL_MACHINE\SOFTWARE\Policies\Microsoft\Windows\. Create new dword value, named DisableGwx, with a value of 1. Uninstalling and blocking the update from the system (as in other answers) is certainly a cleaner approach, if you don't intend to use it. But this is not very useful depending on your needs since the GWX.exe process is still running in the background. It simply shoves the icon in the overflow menu for the system tray. It seems silly since this isn't unique to the gwx application, it is part of the OS. Also, as commenters have pointed out, unlike other icons this setting seems to revert after rebooting the system. Putting the system in sleep mode retains the setting however. There are various ways to remove the GWX promotion "interactively" (in GUI mode). However, I prefer to do it programmatically / the scripted way. Invoke the *.bat as "elevated"
To answer the question in the comments section: by "suspicious" update (in the context of the current superuser question) I mean any update that "just" tries to promote Windows 10. As opposed to a "real" update for the current Windows OS: to fix security issues / particular malfunctions or improve / introduce certain functionality. If there is a certain program on Windows which you don't want to be executed, just tell Windows about it. Open a command prompt or PowerShell as administrator and run the following. This adds a new value debugger to the registy under the specified key. This tells Windows whenever gwx.exe is started, to run something else instead. You could pick any small program that doesn't to anything. But most of them are console programs and that would result in a cmd.exe flashing briefly after logon. systray.exe just runs and quits. 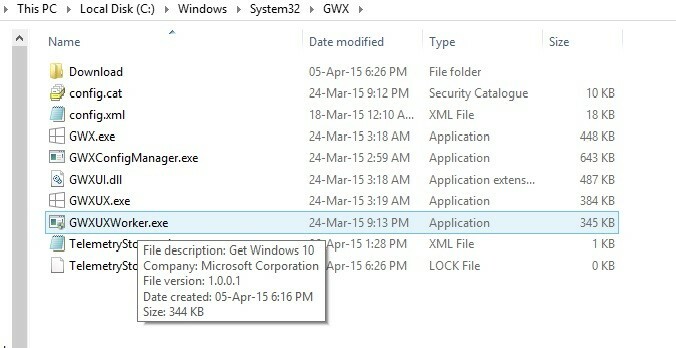 Microsoft can update and enable gwx.exe as often as they like, you will never see it until they change its name. A reboot is required for this to affect the Windows update dialog. Many answers suggest simply hiding the icon (instead of disabling the ad program). Here is a more radical approach: Deny access to this ad program, so the system won't be able to run it. Close or kill the ad program (if still running): Open the task manager (Ctrl + Shift + Esc), select "GWX.exe" and click "End Process". Edit the permissions, select "Deny" "Full control" for all listed users/groups (or remove them, add "Everyone" and deny full control to everyone). It turns out that denying access to the GWX directory as described below does not prevent access to the files in that directory on Windows. So the the ad program GWX.exe is still executable and will be run. Edit the permissions (see below if grayed out), remove all listed permissions. Add "Everyone" and select "Deny" "Full control". You should now have a list ("Group or user names") with one entry ("Everyone") and all checkboxes in the "Deny" column should be checked. Double-check that you are really editing the permissions for "GWX" (if not, click "Cancel" immediately to prevent damage). If so, confirm by clicking OK.
You should then be able to change the permissions of the directory. If it comes back, double-check the permissions. It seems, the owner is sometimes automatically added back to the list and given full permissions to the GWX directory. Go back to the security settings of that directory and remove entries that grant permissions (checkbox in Allow column). It seems just changing the permissions of the GWX.exe file might be a bit unreliable. Windows may (apparently) replace that file after a while (probably after another update), at which point the ad will show up again. The new file will have default permissions, the modification is lost. A combination (removing permissions from that file as well as the parent directory) might work better. Here is a more complete approach. These commands can be copied into a command prompt which is running as administrator (look for "cmd" in the start menu, right-click, run as administrator) or they can be copied into a file that ends with ".bat", which can then be executed (right-click, run as administrator). Note that Windows uses CRLF linebreaks, so before you copy the bat file to a Windows system, convert it using unix2dos (run unix2dos file.bat). It kills the nagware process, if running. 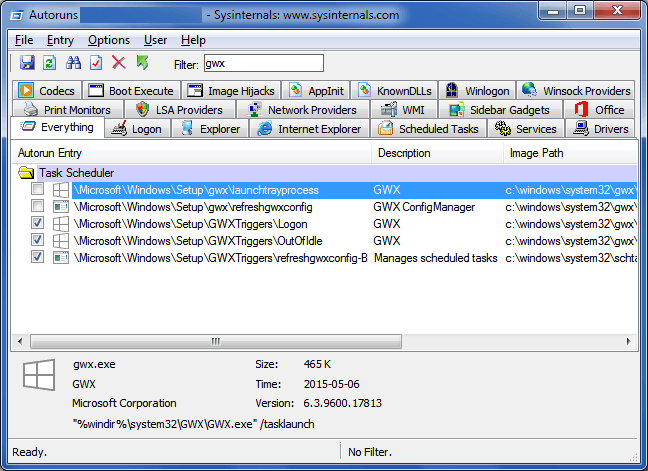 It takes ownership of the GWX directory in order to be able to modify its permissions. It grants administrators access to that directory in order to be able to modify it. It deletes all executable files in that directory, including GWX.exe (the nagware program). It changes the directory permissions for administrators to read-only. It denies access for everyone to that directory. After a reboot, it should not reappear (leave a comment if it does). Hopefully, this should prevent Windows from reinstalling the nagware into this directory. Note: It appears that this mechanism may not be completely reliable, Windows might be able to reinstall GWX.exe in some cases. The commands listed above may have to be improved. 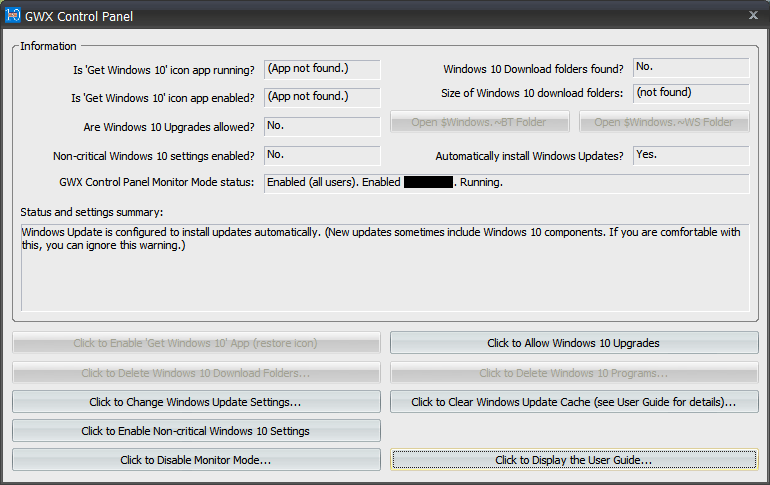 After doing this, restart your current version of Windows and hide the above mentioned updates. The GWX Control Panel software can allow you to easily disable the Windows 10 icon in the notification area among other Windows 10 upgrade related shenanigans in Windows 7 and 8. 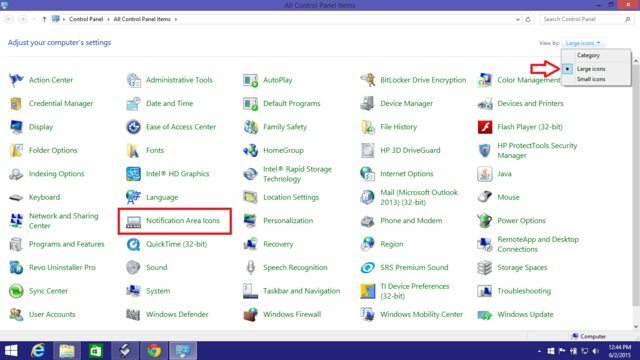 This is a free tool that can remove and disable the 'Get Windows 10' notification area icon on Windows 7 and Windows 8. 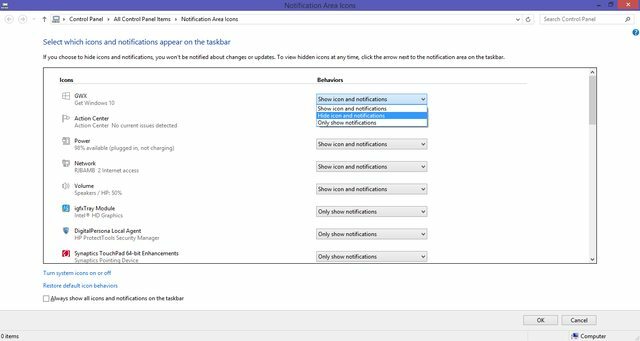 Recent versions can also disable 'Upgrade to Windows 10' behavior in the Windows Update control panel and do much more. See the user guide at the Ultimate Outsider blog. Microsoft has confirmed to WinBeta.org it will soon Remove the use of the Windows 10 upgrade nag. Details are still being finalized, but on July 29th the Get Windows 10 app that facilitates the easy upgrade to Windows 10 will be disabled and eventually removed from PCs worldwide. 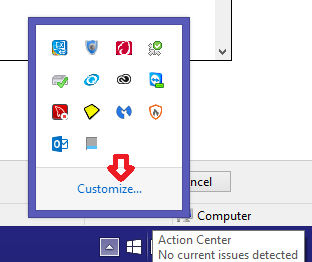 This may seem obvious, but have you tried hiding the icon in the task tray icon customization panel? 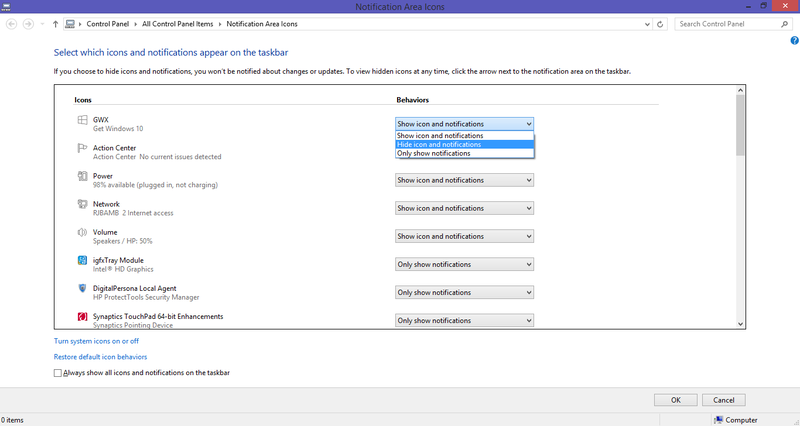 For those of you that have all of your icons showing, and do not use the "more icons" panel, you can also access the Notification Area Icons settings through the control panel, as this should work regardless of whether or not you use the more icons panel. To access the settings through the Control Panel, open it and change your "View by" setting to either "Large icons" or "Small icons", and you should then see it listed as one of the options in the panel. 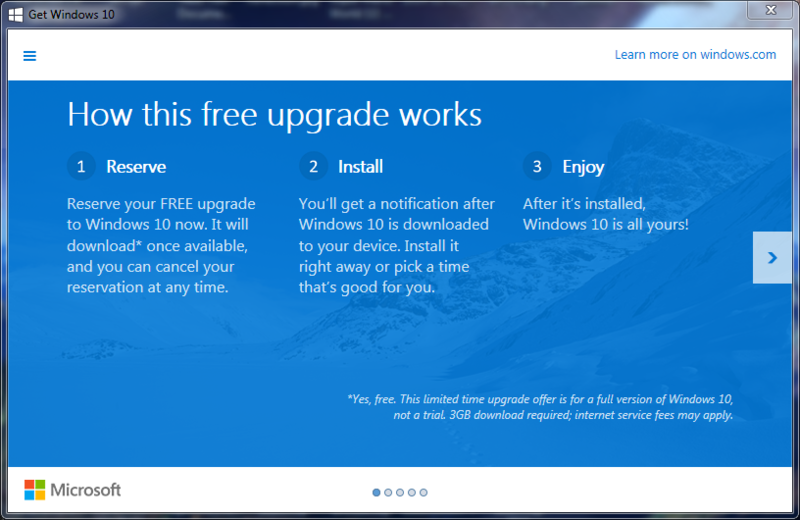 Voila, the update nag is gone and Windows Update thinks GWX is still installed, so it doesn't try to reinstall it. Not the answer you're looking for? Browse other questions tagged windows windows-10-upgrade or ask your own question. How to remove “Download Windows 10” icon on Windows 7 System Tray (“official adware”)? 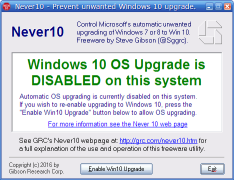 How to Disable Windows 10 update permanently? How does Microsoft push Windows 10 Upgrade? I DON'T want Windows 10 — what should I do to dismiss reminder? 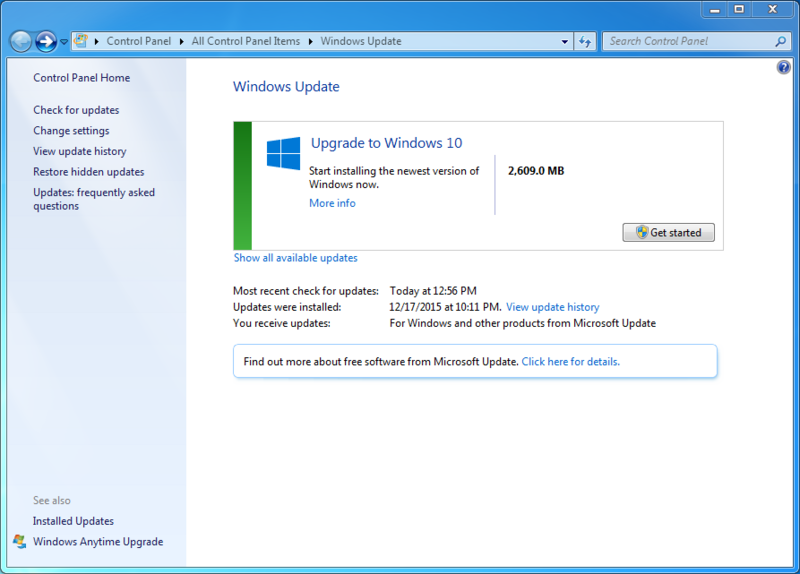 What are all the Windows 7/8/8.1 updates (KBs) I must skip to avoid Windows 10 upgrading -and nags-? What is the $WINDOWS.~BT folder? Why don’t I have the Get Windows 10 icon? Identify what's painting the empty space in my Windows notification area? How do I start Opera 12.17 browser with only tray icon? How do I remove the Recycle Bin from the taskbar notification area? How can I trigger an icon in the notification area from cmd / powershell / .bat? How to remove the Windows waste basket icon from the Windows Taskbar? How to put the notification area in multiline mode?